Steve, Rob, Carlie, and Chris hanging out at our booth at the Asheville Business Expo. When you skim through the hundreds of thousands of downloadable files available online, you will definitely see a bunch of knick-knacks and things that most homes just don’t need. But you will also find a whole lot of items that are extremely practical. Do you need new organizers for your drawers? How about a wrench for a project? Just download the files and hit print. Not only are these items fully customizable to your own unique space or project, but you also get to avoid a trip to the store. Some of those knick-knacks are actually really cool. There are some true artists at work on these sites who create beautiful vases that make fantastic centerpieces, one-of-a-kind pencil holders, Thor statues that your little ones are sure to love, and much more. When your kids are bored, you can print out a brand new board game, or open up one of the customizable files and let them have a great time tweaking their own ornament or action figure. If you are in need of a little exercise, you can even download and print a jump rope. 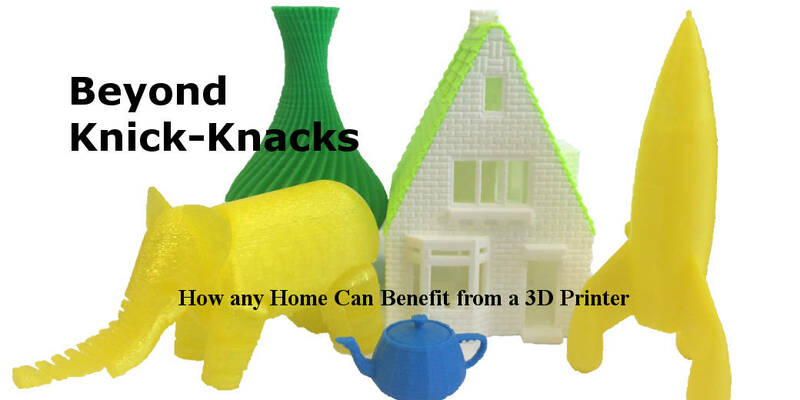 3D printers are an amazing educational tool. At websites like MakerBot’s Curriculum page on Thingiverse, you will find all sorts of downloadable prints that help to get kids super excited about 3D learning. For kids that are squeamish about dissecting animals, download the frog model so that they can see how all of the organs go together without harming any real creatures. You will also find a Saber-Toothed Tiger, a Mars Rover model, and a replica of the Great Pyramid of Giza. While learning to design in 3D software may seem intimidating, trust me, it’s not. If I can learn, anybody can. For a great place to start, check out one of the free online programs like Autodesk 123D Design. With drag and drop shapes and simple editing tools, you can be making models in no time. Bringing your first creation to life truly gives you a feeling of accomplishment. If you don’t want to start from scratch, the program also has plenty of free files that you can download and use as a starting point before customizing the design to suit your needs. When you are ready to really dive in and learn the programs, check out the online offerings from CADLearning. They have some great deals for students and educators, allowing you to learn programs like Fusion 360, Inventor, and 3ds Max at your own pace. With a little design knowledge, you can…. Fix things around the house. You know that expression, when you have a hammer, everything looks like a nail? That is definitely how it has been since we received our first printer. Have a problem at home? We can 3D print the solution. To find out more about how we have used our 3D printer around the house, check out our article about replacing a dishwasher wheel or our video about refurbishing a crock pot. Sell your designs. There are tons of resources online, like Shapeways and Turbosquid, to help connect you with the people that want to buy your prints. Start your own business. If you are looking to start your own small business, a printer provides a way to get going with very little overhead. 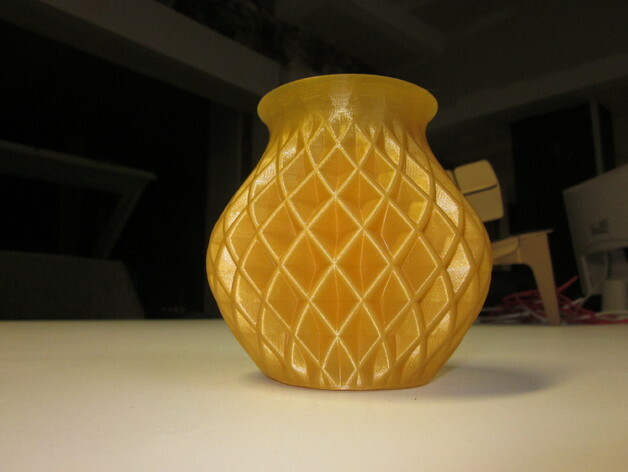 While some people are simply offering to print other people’s designs for a fee, there are plenty of entrepreneurs who are creating their own unique products on a printer. Whether you make jewelry or design custom glasses, a printer is a great way to make one-of-a-kind products. Whether you are a true beginner or an old pro, 3D printing is a technology that I truly believe everybody can benefit from. Learn more about how you can harness the power of 3D printing in your home by contacting us at Spectra3D Technologies today, or stay up to date on the latest 3D printing innovations by joining our newsletter. I was very happy to have persevered in a week long search through 3D Printers located near Asheville, and online, to have found your shop. The models you created were contentedly received by my client, and will form the basis of subsequent phases of the work. Thank You. Spectra3D helped us develop our blog’s 2D robot mascot into a 3D figurine so we could take it with us to appearances. The 3D robot is a great addition to our table; we love having it and our readers enjoy seeing the mascots come alive. Steve and Spectra3D Technologies were wonderful to work with. We appreciated their responsive, personal attention, and the renderings they developed for us will be invaluable as we grow our business. Spectra3D helped me to better understand 3D printing technology, and lead me to the options that are best for my project. With their help, I now have a 3D printable product that I am selling. The assistance I received is invaluable. Spectra3D is the go-to resource for 3D printing equipment and services in Asheville.